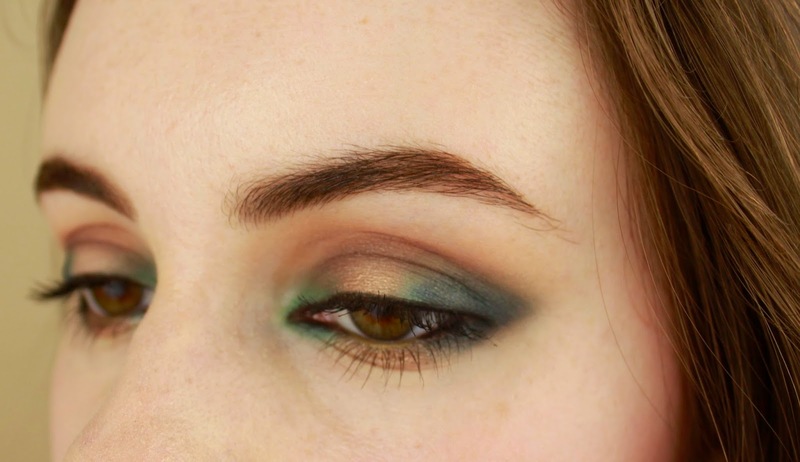 I've seen halo eye looks many times before but was always nervous to try them, mainly because I don't have particularly wide-set eyes and I thought this style—in which you place a dark shadow both at the inner and outer corners of our eyes and a bright or shimmery shade in the middle—would make my eyes look even closer together. 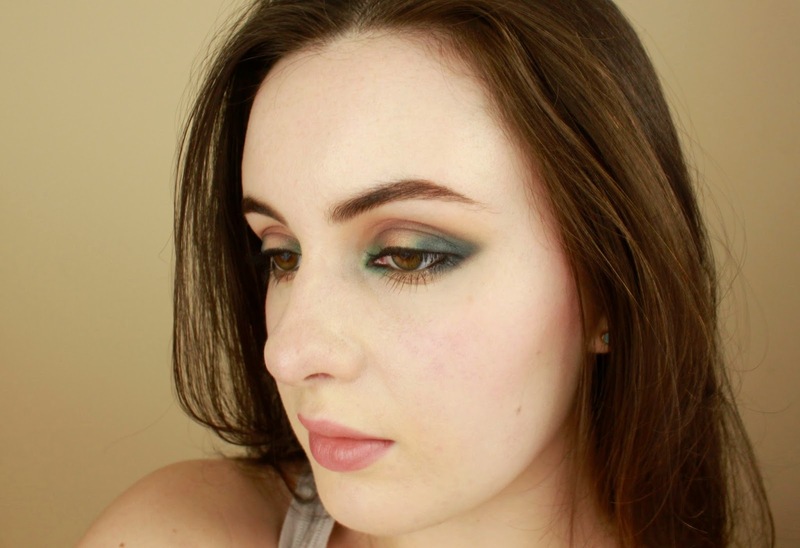 But I have to say, I really enjoyed how the look shook things up and can't wait to try more color combos. This style would be great if you're someone with very deep-set eyes because the shading really gives your eye socket an extra dimension and makes them pop. One major downside of this look was that since my eyes water pretty easily, having that color at the inner corner was difficult to maintain; in fact, the reason that all of these shots are of my left eyes is that my right eye just. would. not. 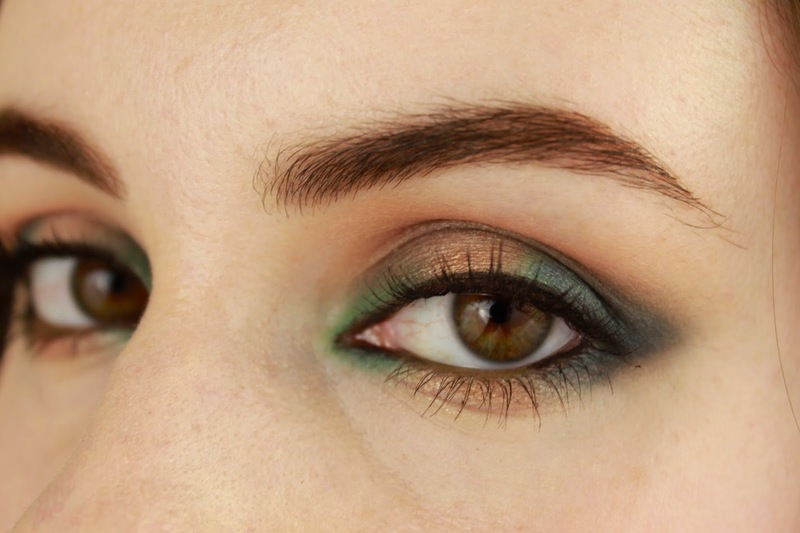 stop watering, ruining the green shadow and black liner. 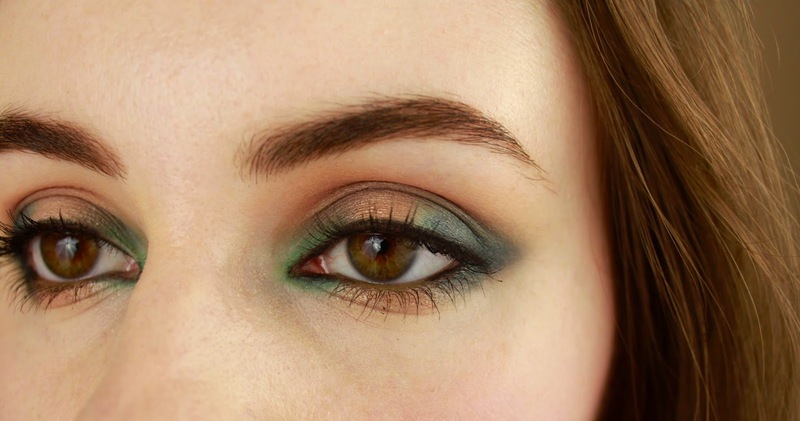 I'm going to try a more wearable version of this sometime this week in which I don't bring the darker shadow and liner to my lower inner corner and will post pictures to Instagram! The rest of the makeup is super natural. I did apply false lashes but somehow they felt wrong with this look; maybe the pair I was using was too dramatic, but it just felt like they were taking away from the shadow. Hope you've enjoyed, and sorry this is such a short post. I'm in between tripods at the moment and I can't really shoot an in-depth tutorial without one. But I'll be back next week with a fuller post! Take care til then.